This morning, 25 miles north of Sierra Vista, AZ elevation 4,600 Is this a Ladder-backed or am I confusing it with something else. Thanks for the help. You are correct. 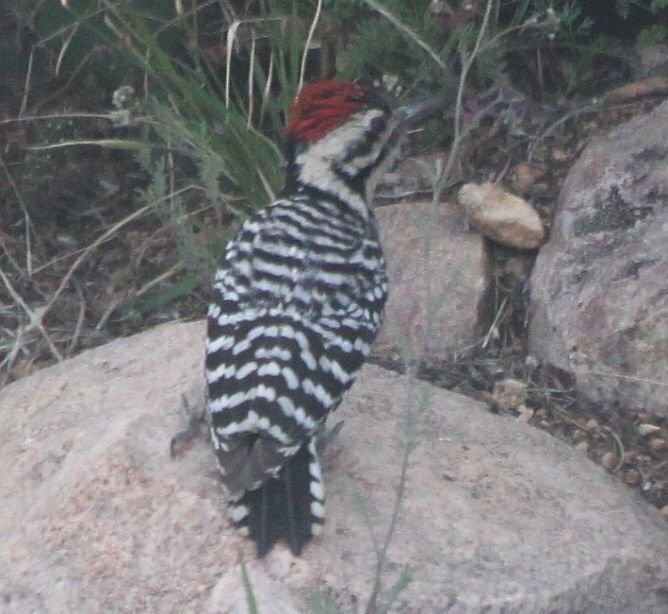 I've done some birding around Carr Canyon. Were you near there? Yes - the location and fully barred back make it so.